The Clean Energy Finance Corporation (CEFC), SMBC and Westpac have provided a A$113mn senior debt facility for a wind farm in Australia. 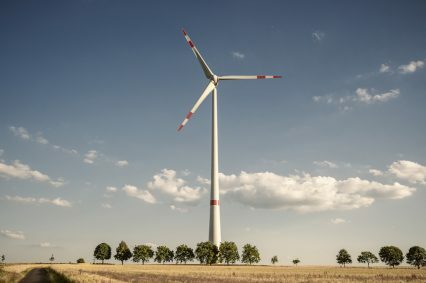 The A$250mn Crudine wind farm will be developed by CWP Renewables and Partners, with an off-take agreement in place with Meridian Energy Australia. It will add 135MW to the grid, powering 55,000 homes in New South Wales each year. It marks the 10th wind project financed by the CEFC, a government funding agency, whose debt facilities have totalled A$700mn since 2013. Andrew Gardner, the wind investment lead at the CEFC, tells GTR that the sector is becoming more attractive to commercial financiers due to falling costs and improvements in technology. “On the technology side, we’ve been seeing the level and cost of wind falling in Australia. That’s a function of capital costs, upfront construction cost, but also increased turbine sizes and longer turbine lives. The turbine sizes are helping the economics of the projects,” he says, in a telephone interview. Projects are also starting to get bundled in a manner that’s more attractive to commercial financiers. In late-2017, for instance, the CEFC funded Australia’s first fully integrated wind, solar and battery project, at the central north Queensland Kennedy energy park. The A$160mn hybrid project helped overcome problems around grid reliability, which can be attractive to off-takers, Gardner says. Furthermore, the fact that solar typically produces earlier in the day, while wind delivers at night, makes the resource profiles complementary. “It also helps spread connection costs across two projects, which helps achieve economies of scale,” he adds. In a general sense, financiers are becoming more comfortable with wind projects that they may not necessarily have funded before. The Crudine project comes with an element of merchant risk, however the falling costs associated with such projects brings the breakeven mark down, therefore adequately mitigating such risk. “We’re certainly seeing more recently a growing interest in Australia from financiers. We’ve seen investors willing to look at financing projects that aren’t necessarily fully contracted, in the old space. So while merchant exposure is more challenging from a risk perspective, we are seeing more parties willing to play in that space,” Gardner says. Japanese bank SMBC has been one of the most involved international players in Australia’s renewables sector. In 2016, it was among the funders for the Sapphire wind farm and the Solar Flagships project. In 2017, meanwhile, it helped finance the Silverton wind farm and the Clare solar park.